Meeting new people and hearing about their life experiences is Michelle’s favorite part of being a trusted travel expert. She loves working with all different types of clientele, offering them suggestions to make their travel plans runs seamlessly. She understands details are very important in making her clients happy, and it is essential to her to get them right. Michelle has been in the cruise industry for 30 years. She started off as a receptionist and quickly worked her way up to a Cruise Consultant. She has traveled extensively to Mexico, Alaska, and the Caribbean and has been on a Mediterranean cruise voyage. 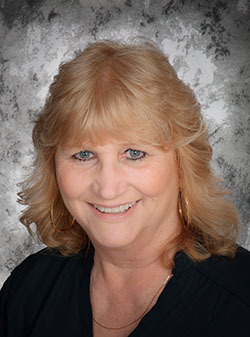 She is knowledgeable of most cruise lines, and has had the opportunity to sail aboard Celebrity Cruises, Crystal Cruises, Cunard, Holland America Line, Princess Cruises, Seabourn, and Silversea. Michelle loves the Caribbean and learning about the history of Europe. Michelle looks forward to helping you plan your next cruise or tour!